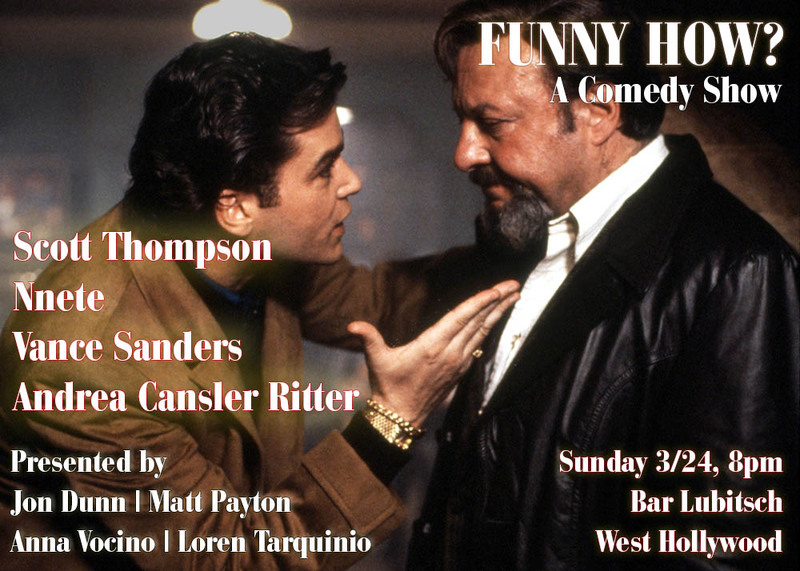 Come see Anna & Loren perform at Funny How Comedy Show on Sunday 3/24 at 8pm at Bar Lubitsch in West Hollywood! Also performing: Scott Thompson (Kids In The Hall), Nnete, Andrea Riter Cansler, and Vance Sanders. Come on down and have some Sunday night laughs! !